Disclaimer: I received a free membership for the Learning Success System in order to write this review. Still all thoughts and opinions are my own. This post contains affiliate links. Watching your child struggle in school is a difficult thing for a parent. It’s especially frustrating when you feel that there is nothing you can do to help them. Today it seems like kids struggle in school more than ever, but with the internet we also have some amazing programs available to us. 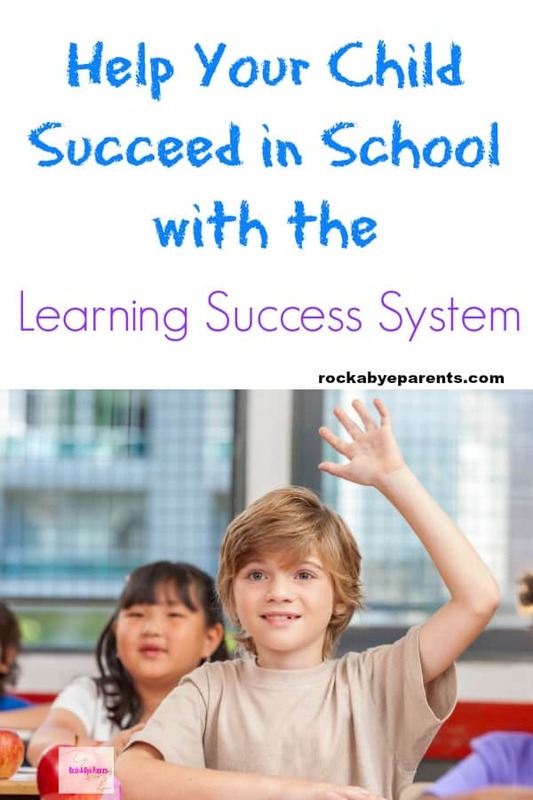 The Learning Success System is one such program. I have been that stressed out parent. I have a child that from an early age showed signs of being extremely bright, but he struggles with basic school work. Nick never developed a dominant hand which has caused him delay in the fine motor skills he needs for writing, cutting, coloring, all of the things that elementary age kids do all day long. As Nick’s time in school has progressed it has been noticed by many that he is very smart, and he can verbalize that, but he can’t get that information on paper. He still struggles to do basic writing and he has had some delays in reading. There are days that I’m not sure if it’s better or worse that I have a teaching background because I see Nick’s struggles from both sides. It’s hard though to know that even with all of my training I haven’t been able to help my son get over the hurdle that is causing him frustration with school. Many months ago I was contacted by the Learning Success System asking if I would be interested in reviewing their program. Their email came right after I had been to a parent-teacher conference and I was quite frustrated with things. I don’t do many product reviews anymore, but I was very excited to try their program out with Nick. 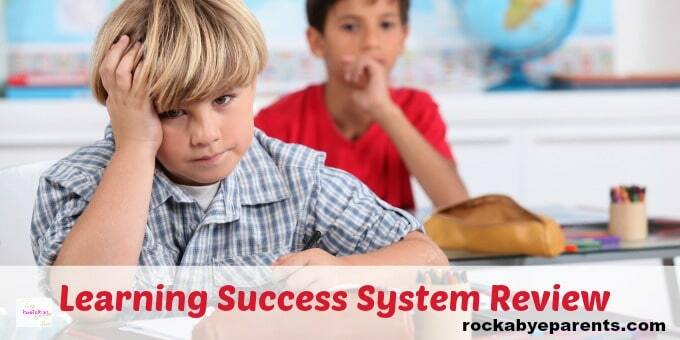 So what makes Learning Success System different from other learning programs out there? Basically this program works on making sure that students build strength in the learning skills that they struggle with. These skills are called Learning Micro-skills. The three categories these skills all fall into are visual, auditory, and kinesthetic. Under these categories are subgroups. By strengthening these skills students are able to develop new learning strategies that lead to educational success. I’m sure at this point you’re wondering how well this system truly works. I can say from our experience it is very helpful. When we started using the Learning Success System I was set-up with an account for the program. The first thing I did was go to the Members Forums. There is a lot of information there on how to use the program. Nick and I have what we call “school work” time in the afternoon. That was when we would read and do any other work that was needed, and we’d end with some fun playtime together. This made it very easy for us to integrate the Learning Success System into our school work routine. We would start out with doing a few minutes of physical movement as was recommended. Nick really loved that. Then we would move on and work our way through the listed exercises. The first exercise is a basic activity called Poke the Smilies. This helps students because it incorporates cross motion in the body, and it also requires students to be aware of what they’re looking at. Nick got the hang of this one fairly quickly, and he really liked it. You can get an idea of it from this quick video. I’m happy to say that we saw some results right away. Nick quickly moved up several reading levels right after we started using the program. Then we got stuck. For several months Nick has been trying to master the Eye Sasccades Version 1 exercise. It helps with eye tracking, and he’s finally showing some improvement, but this one has been very difficult for him. While this has been a bit frustrating for me I don’t see it as a bad thing. We have been working with doctors this summer on Nick’s issue, and I was able to help them quickly recognize Nick’s tracking struggles because I brought up how Nick is having a hard time with this exercise. Even though Nick hasn’t progressed all that far into the system we aren’t stopping. This system has helped me be an advocate for Nick because I have been able to recognize some of his struggles. Plus after meeting with an OT I’m here to tell you that all of the things they think Nick should do are the exact types of things included in this program. As an education major I find this to be a fantastic learning system. I’m sure Nick would be much farther along if one of the first few exercises didn’t happen to be one that focused on one of his greatest struggles. We keep working on it though and I know Nick will soon master it. This system truly does help students overcome the learning struggles that they have. I am very excited to share that not only did I get a chance to try this amazing system out, but one of my readers will get a chance to as well! I am holding a giveaway for a Learning Success membership. Use the widget below to earn entries. A few of the entries can be done daily, so be sure to come back and earn more! I am really glad that Nick and I were able to test the Learning Success System out. It has already helped Nick in many ways, and I look forward to seeing his continued growth from it. I hope you and your child find success from it as well. I’m sorry you’re having so many struggles Leah. I know the feeling. It’s certainly hard on the kids, but it’s hard on us parents too.